Artistic Land : Fashionable Band Aids - Wound Yourself with a Style. 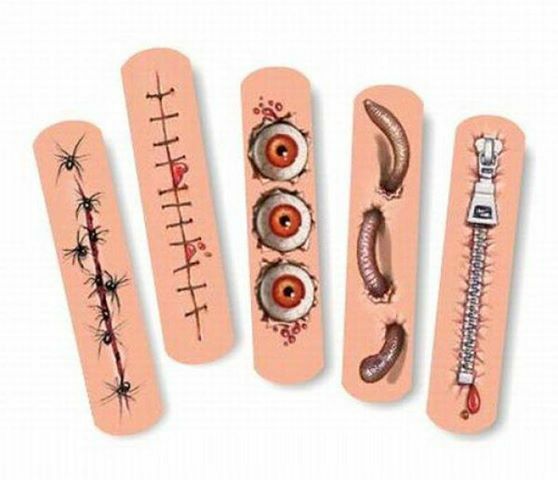 Fashionable Band Aids - Wound Yourself with a Style. Real Ghost Picture. It's Scary ! Epic Fail When You See It ! It Almost Took The Average Person 60 Seconds To Find The Problem With This Picture. True Story - Fun Picture. Guitars, How it Really works. Dad, How Was I Born - Fun Picture. Girl Power - Fun Picture. That Is Creepy - Funny Picture. Girls Why You No Watch The Movie, Fun Pictures. World's First Hand Woven Car. The Scariest Ghost Photo EVER! Unique Design For The Living Room. Amazing Clock - The Time Is "Now". Simple and Cute Buttons Bookmarks. Idea For a Small Apartment. How to Make a Pompom Rug. Home Made Vitamin Water ! Different Solution For Small Apartments. Baby Sign - Language Chart. Love This Clock Idea ! How To Crochet a Rug with Yarn & Old T-Shirts. Halloween Make up Idea ! Fashionable & Beautiful Shoe Closet. Acupressure Points For The Hands. A Great Evening in Cannes, France. 100 Year Old Grandpa and his 17 Year Old Cat. Gorgeous White Lion Mom and her Cubs. Fatherhood - This is too adorable ! A Flamboyance is a Flock of Flamingos. Will Power is the Strongest Power. Thumbelina - World's Smallest Horse. Amazingly Colorful Snake in Arizona. A Precious Moment Between a Horse and her Baby. Wow !! What An Amazingly Beautiful Shot. Starfish Colony - West Coast - New Zealand.